This a afternoon tour lasting 4,5 hours and is as fascinating as the visit of Versailles. After picking you up at your hotel with one of our 8 seated air conditioned Mercedes minivan, you will cross La Brie famous French country side before reaching the palace after 50 minutes drive. The first foundations of the Palace dated from the 12th century. King Philippe Auguste and Saint Louis were fond of Fontainebleau. 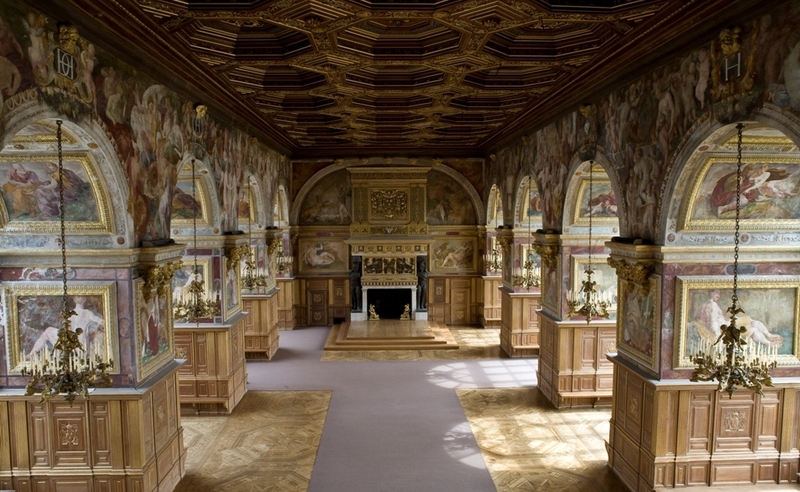 It was during the Renaissance with King François 1 that the palace underwent its most spectacular transformations. The sun King used to spend every autumn in the place during hunting season. The Queen Marie Antoinette and especially Napoleon has refurnished the Palace. 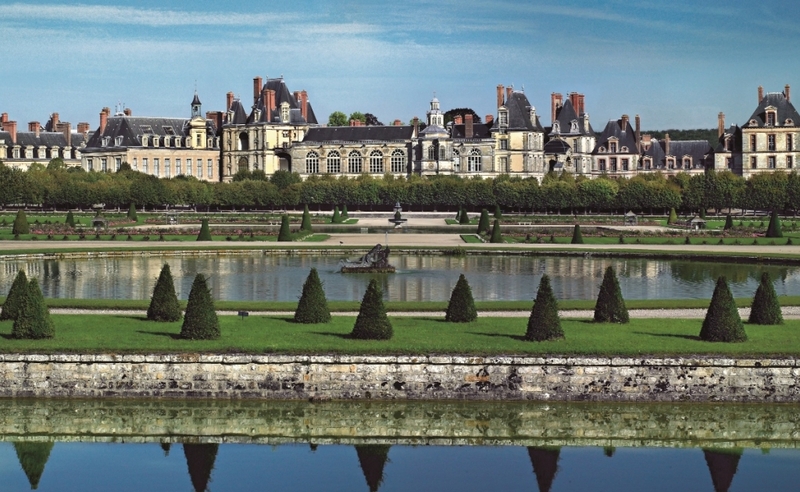 Fontainebleau palace spreads across four main court yards. The diversity of the buildings is testimony of the successive constructions undertaken from the 16th until the 19th century. You will start this visit in crossing the gate of honour to access to the white horse courtyard with its famous horseshoe stair case built in 1634 which drive you to the State & Private Apartments and Galleries of which the most famous : Francois I gallery. All the rooms are lavishly furnished with furniture of the Renaissance and Napoleon period and recently renovated. The Throne room is unique in France. Francois I was responsible for creating the gardens where water has always played an important role. The English garden and the lay out of the French garden: le Grand Parterre have been designed by Le Vau and Le Notre. 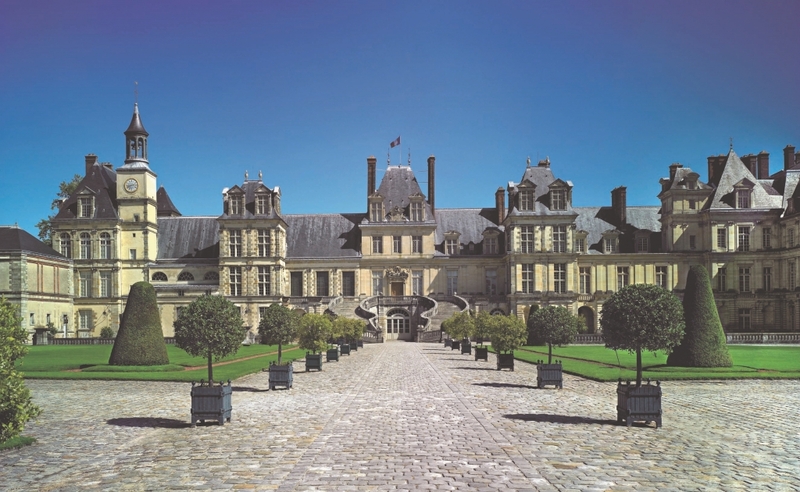 Your guide will either guide you inside the Palace or provide an audio-guide in your language to follow this visit of one of the most spectacular and splendid palace of France. Your guide will also drive by Barbizon chosen by the landscapist painters : Thédore Rousseau, Jean-François Millet… in the 19th century to create their works using the beauty of the magnificent forest and nature around. 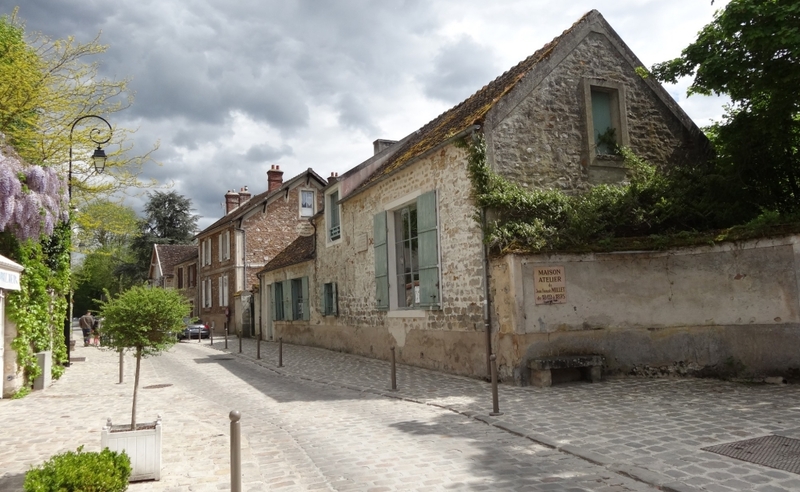 Many writers joined them: George Sand, Robert Stevenson…You will pass by to the Auberge du Père Ganne turn into a museum of the Barbizon school where all the artist used to meet.